Cultivating transliterate thinkers in collaboration with the Peninsula community. The Peninsula School Library exists to educate students and staff in the identification, evaluation and use of multimedia materials for their curricular information and personal interests. It develops the attitudes, ethics, and skills to use 21st century resources in all formats to become effective users and creators of information. Ms. Gapp is a certified Teacher Librarian. She has a BA from the University of Oregon in Comparative Literature, her Educational Media K-12 teaching license from Portland State University, and a Masters in Library Science from Emporia State University. She is now working on her 16th year as a school librarian and eighth at Peninsula. For more about Ms. Gapp check out her blog. "I am excited to be serving you and sharing my love of literacy with Peninsula students. We explore multiple facets of information literacy, including: how to choose the right book, navigate online databases, identify what a reliable online resource is, employ literary devices, use the web efficiently and exercise digital citizenship. Students will make connections to stories by examining themselves, other texts, and the world at large. The library houses high quality, informational texts, and literature that reflects the student body. I strive to equip students with skills that apply across the content areas...as well as their present and future lives!" Kindergarten: 1 book out at a time, this book remains in the classroom. 2 books out with parent present, these may be taken home. More books may be checked out to students at librarian's discretion when a student's account is in good standing. You may receive an e-mail indicating that your child has an overdue book. This comes from our automated software and serves as a courtesy reminder. Please contact the Library directly with questions and concerns. You will receive a courtesy e-mail notice 3 days before the book is due reminding you to renew or return it. You will receive an automated overdue notice via e-mail after 14 days, and then again after 28 days. Daily fines are not accrued; however, if a book is not returned by the end of the school year, or if it drowns, is eaten, burned, or otherwise damaged you will be charged for the cost of replacement. Bill generated in School Pay for unreturned materials at the end of each year. In addition, bill generated by librarian as books are damaged or determined to be lost throughout the school year. Students are limited to 2 books from the same series and no more than 2 graphic novels at a time. Students should use their PPS network username and password. This username/password is the same as StudentVue. Thank you for your support and interest in the Peninsula Library! I look forward to working with you this year. My philosophy is that YOU are volunteering YOUR time, so I am completely flexible, all I ask is that if you are scheduled for a particular day and time just send me a quick e-mail or phone call if you are going to be gone. Additional volunteer info. Donate to Peninsula's School Library directly through School Pay using the button above. 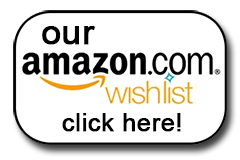 Or, if you prefer picking out books, consider choosing from our wish list by clicking the button below.